Witness Cairns and the tropical islands and Great Barrier Reef from a different perspective with a 14,000 ft tandem skydive. Providing a thrill of a lifetime and spectacular views, this is an experience not to be missed. 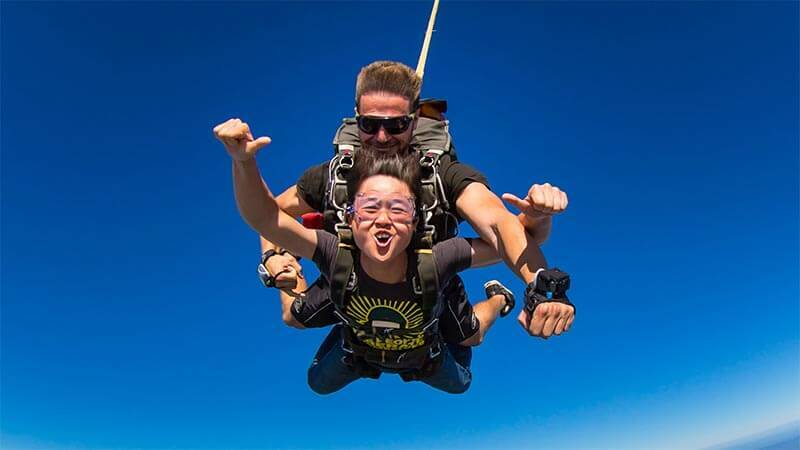 Experience the freedom and exhilaration of jumping out of a plane at 14,000 feet. Strapped to a qualified tandem skydive master, you’ll be guided out of the plane for a heart-stopping freefall. And once your parachute has been deployed for your descent, you can take in the magnificent natural beauty that is Cairns. Where else in the world can you skydive over two World Heritage Listed parks?